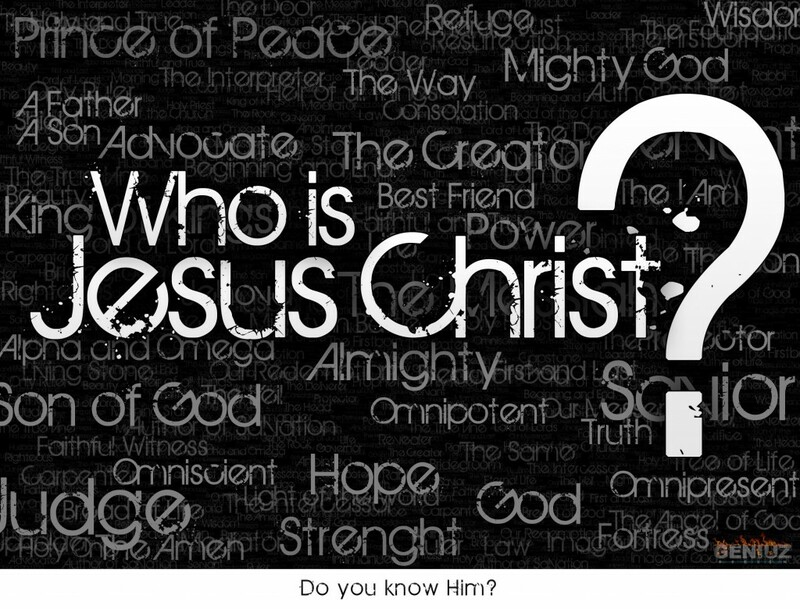 Emmaus Road Baptist Church » Who is Jesus? Perhaps you know of somebody by the name of Jesus. Maybe he is Jesus from school or Jesus from the workplace. Jesus is a somewhat common name. In the first century, it was extremely common Jewish name. Many believe that it was one of the top ten most common names for a Jewish boy. The Jesus that I will refer to in this article is Jesus of Nazareth. The question which I am posing is not original with me. It is a question which has been debated for nearly two millennia. Within it lies the difference between eternal life and eternal death. In the Gospel of Matthew, one may read of Jesus asking this question of his disciples. As recorded in chapter sixteen, Jesus turned to his disciples and asked them, “Whom do men say that I am?” For nearly three years, these twelve men had followed him and witnessed his great miracles. They had sat under his teaching and observed his every mannerism. They had also overheard the whispers of the multitudes, as they themselves sought to comprehend the meaning and significance of this one who referred to himself as “the Son of man.” Knowing the rumors and popular opinion of that day, the disciples were quick to answer. Society compared him primarily to three individuals and believed that He embodied the spirit of one or all of these men. The first was John the Baptist. He was a great preacher of repentance and he held no punches. Wherever he saw sin, he denounced it, and it had recently cost him his head. Many, from all over Judah, had come to be baptized in the Jordan River as a sign of their repentance from sin and identification with his message. His message was that the kingdom of heaven was at hand. Jesus also had gained a great following and his message was similar to that of John’s. He denounced the religious leaders and some suspected that it would soon cost him his life as well. The second was Elijah. He was one of the most revered prophets of the Old Testament. One who was not afraid to stand up to the establishment, God had used Elijah to perform mighty miracles. Many believed that Elijah himself would return to usher in the kingdom of God upon the earth. Since the time of Elijah and his protégé Elisha, no man had come close to performing miracles upon the scale that Jesus was performing them. The third man was Jeremiah. Considered one of the last great prophets of the Judean Kingdom, Jeremiah was known for his love for the people and his ability to foretell future events. Jesus had often spoken with certainty about the future and it was obvious that he cared deeply for the people. Many people in the Bronx have similar opinions about the identity and significance of Jesus. Some would say that he was a great teacher, others that he was a great leader, or a prophet, or someone who did good for the “little guy”, or somebody who stood up to the establishment, or that he was just somebody with some good ideas to live by. While all of those things are true, that is not all of who Jesus is. Having heard the popular opinions of culture, Jesus challenged his disciples to decide for themselves who he was. For three years they had observed him, and based upon the evidence which they had witnessed, he was calling them to a verdict. They had been given enough time to weigh the facts, now was the time of decision. Simon Peter was the first to answer. He declared that Jesus was none of the above. He proclaimed that Jesus was the one who was anointed by God to redeem the people of Israel and that He was the awaited King. He further proclaimed him not only to be the “Son of man” but also the “Son of God.” He got the answer right! Jesus responded to Peter by calling him “blessed.” He went on to explain that Peter had not come to this conclusion on his own, but that the Father had revealed the truth to him. So it is with every person who learns to recognize Jesus as God. The evidence of his identity is to be found in the Bible, but it is the Spirit of God which convinces one of the truth. So, who is Jesus to you? Is he just another man with some good ideas or is He the Son of the Living God? As the Son of the Living God, do you recognize him as the One who died and rose again to redeem you from your slavery to sin? Perhaps, you are not quite sure who He is yet. Pray that God will show you the truth about Jesus, and start looking at the evidence. Jesus proclaimed that the answer of Peter was correct. He never denied to be God and upon several occasions He made it quite clear that that is who He was claiming to be. To claim to be the eternal God means that Jesus was either a liar, a madman, or exactly who He said he was. To learn more about Jesus please contact Pastor Ben @ 917-533-3983.